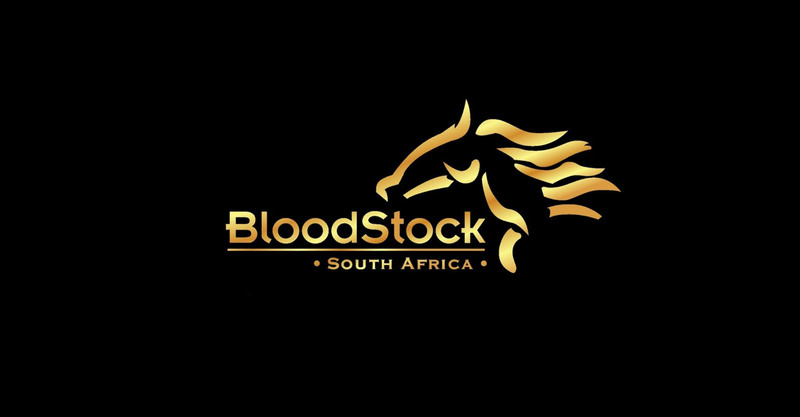 The Hollywood Syndicate purchased three 2 year old horses at the recent Ready to Run sale in Johannesburg, on the 4th November 2018. Cher Ami (Lot 20), Ice Rink (Lot 79) and an unnamed Pomodoro filly (Lot 108) are our newest acquisitions and all three were consigned by Far End Farms. Learn more about these horses here. He is a big, strong colt by the highly rated Var out of a bold black type winning Fort Wood mare called Sweetie Pie. The mare has produced two winners from two runners in the form of Nabisco and Oh My Darling – both by the late Western Winter. As size goes, he has plenty of it and the pedigree brings a nice cross of speed on the sires side and stamina on the mares side. Some may recall Sweetie Pie winning the Gold Circle Oaks some years back and she proved to be a versatile sort on the track, winning from 1200m – 2400m during her career. Over the generations the pattern between both families has consistently produced middle distance feature race winners, between 1600 – 1800m and this is what we saw in him – a beautiful, big miler. 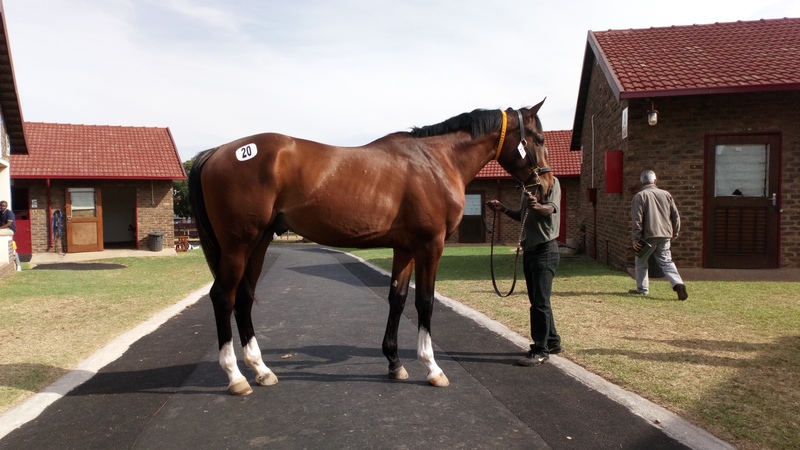 He will be trained by Alyson Wright in Durban. He is a smart, beautifully balanced colt by Gimmethegreenlight out of a Toreador mare called Ice Link. He appears to be a quality sprinter type of colt and he should run fairly early if gelding him isn’t first on the agenda for him. His pedigree pattern through the generations has traditionally pointed towards the 1200m trip being most ideal for him, but he should go further as he gets older. He will also be conditioned by Alyson Wright in Durban. Look out for him in the new year. Not the biggest filly, but nicely balanced and a lovely mover. 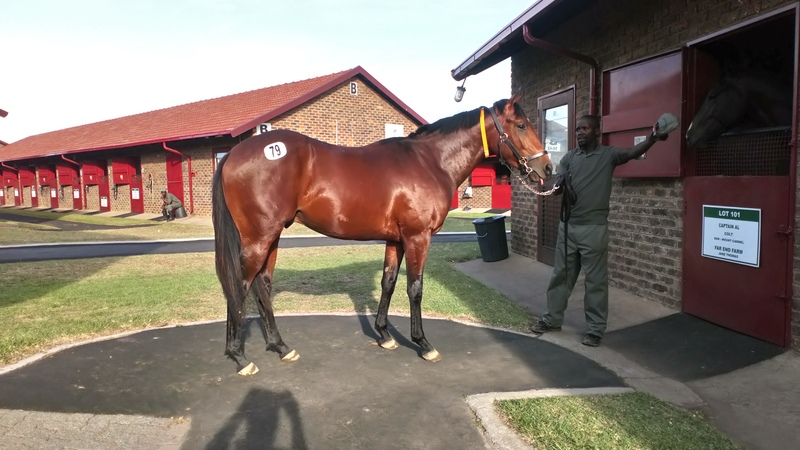 She is by freshman sire and the 2012 Durban July winner, Pomodoro and she is out of the Lithuanian mare called Pacific Breeze. She is the only Pomodoro that we have in our string of horses, but under bidders aside she was a relatively easy purchase as far as perceived value is concerned. 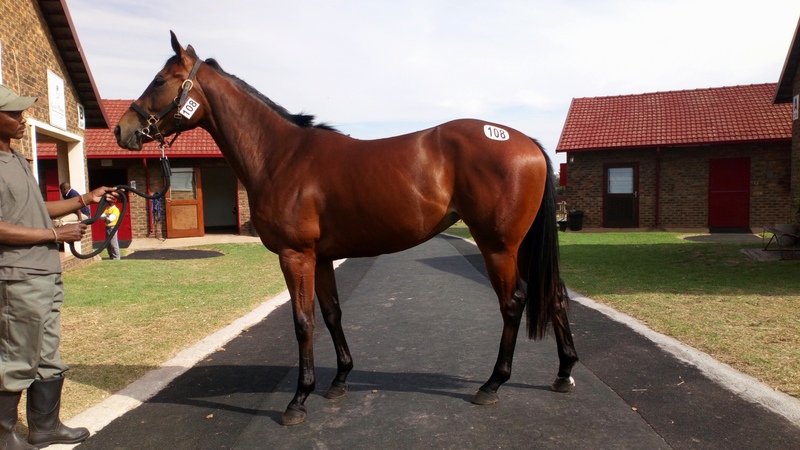 She will be stabled in PE with Gavin Smith.